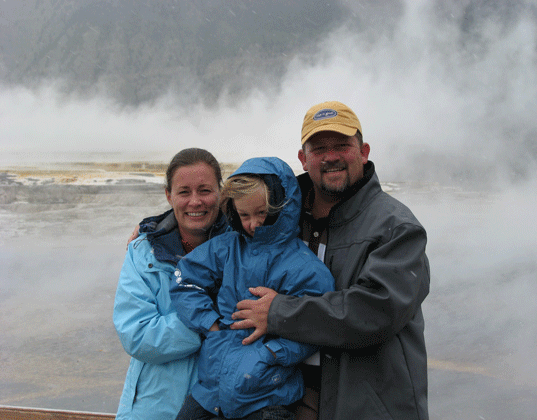 Some of my most memorable, amazing and peaceful trips with my family have revolved around hiking. Taking a walk together across challenging (or even not-so-challenging) terrain is such a great way to reconnect with your family while appreciating and enjoying nature together. In fact, it’s one of our favorite eco-friendly summer activities for kids and families. You can use your hiking time as a teachable moment — children will gain a love for the Earth and a desire to save our environment. And at the same time, you can cherish the memories of time spent together as a family, memories that will last a lifetime. Before you hit the trails, check out our top four ways to ensure every eco-friendly family hiking adventure is one to remember. If this will be your first hiking adventure with the little ones, choose a hike that is easy and fun for everyone in your family. If your family is full of experienced hikers, choose a hike that will be enjoyable and challenging. However, be sure to make your hike an appropriate challenge for everyone — you don’t want to spend the entire day listening to whining or crying. And if you’re bringing your baby in an infant carrier, remember you may get worn out more quickly carrying the extra weight. The best hikes to take with little ones in tow are destination hikes. Destination hikes have a surprise at the end, whether it’s a waterfall, lake or beaver pond, it will get your family excited to start the journey knowing they’ll see a beautiful reward at the end. Before hitting the trail, make sure that you have packed all of the essentials that each member of your family will need for the day. Have plenty of water and a high energy lunch or snacks on hand. Also, remember to pack rain gear, natural sunscreen and lip balm, a compass, a Swiss army knife, a first aid kit and a map of the trails. You’ve heard the expression “Dress for Success,” and this also applies to hiking. Choose a high-quality, waterproof hiking boot with sufficient ankle support and comfort for each member of your family. Pairing your hiking boots with organic weather-appropriate socks is just as important. 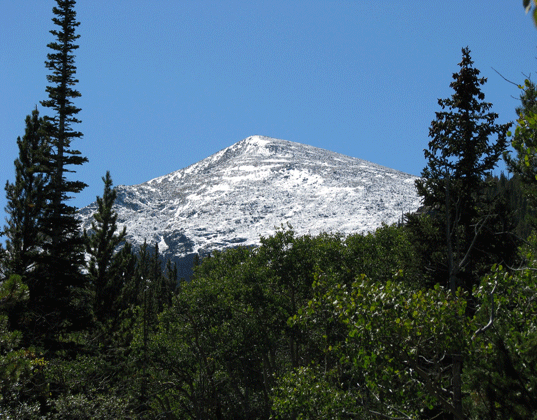 Choose the appropriate clothing for the climate that you will be hiking in and think layers. This way you’ll have the option to remove layers of clothing if you’re warm or put on a jacket or rain gear if you’re are cold. Convertible pants that unzip into shorts are a great option for the little ones. And remember, wide-brimmed hats to protect everyone’s face, ears and neck from the afternoon sun along with sunglasses to protect the peepers. Beyond being a great outdoor family activity, hiking is an excellent learning experience. Find objects in nature that look like objects your child has seen elsewhere. 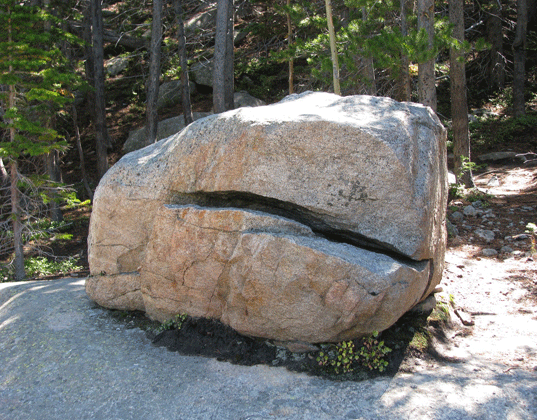 On a recent hike, my family saw this large rock (pictured above) and my son thought it looked exactly like the missing piece from Shel Silverstein’s book. Allow children and adults alike the opportunity to stop to observe a caterpillar out for a walk, view eggs in a bird’s nest, smell the flowers, collect rocks, visit with a woodland creature or dip their feet in the river. Young or old, we all learn through observation and physically experiencing the world around us. If your children grow up immersed in nature, they will grow up loving, appreciating and even helping our environment. Teach children to leave nature as they found it, leaving nothing but footprints behind. Or, better yet, teach them to clean up any garbage that they find along the trail as well. 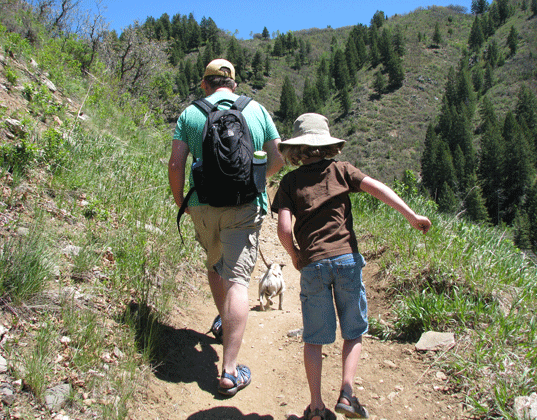 Does your family enjoy hiking together? What type of hiking does your family do? Please leave your comments below! LOVE This! You really taught me some stuff here that I had never thought of! Thanks so much for this post and the awesome pics (especially the one of the squirrel)! Some of my most memorable, amazing and peaceful trips with my family have revolved around hiking. Taking a walk together across challenging (or even not-so-challenging) terrain is such a great way to reconnect with your family while appreciating and enjoying nature together. In fact, it's one of our favorite eco-friendly summer activities for kids and families. You can use your hiking time as a teachable moment -- children will gain a love for the Earth and a desire to save our environment. And at the same time, you can cherish the memories of time spent together as a family, memories that will last a lifetime. Before you hit the trails, check out our top four ways to ensure every eco-friendly family hiking adventure is one to remember.